Apple figure dresses are ideal for creating a figure-flattering silhouette for women with an apple-shaped body type. An apple-shaped figure, which at times is referred to as “top heavy,” is a stunning body type, typically characterized by broad shoulders, a wide torso, full bust, full waist, and broad upper back. When dressing an apple-shaped body you should focus on the best features when selecting your ideal dress. 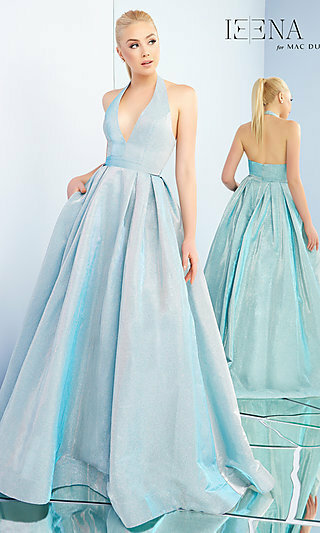 You may wish to choose dresses that will help to de-emphasize your ample waistline. By design, dresses for apple figures tend to draw attention away from the waist and direct focus to the bustline, arms, and legs, helping to create a proportioned and overall balanced look. Explore this collection of designer dresses for apple figures for prom dresses, semi-formal party dresses, and special occasion dresses. Confidently flaunt your curves in a apple figure dress from PromGirl. What Dresses are Flattering For Apple Shaped Figures? What to Wear: Since apple-shaped bodies typically carry weight through the mid-section, it is best to look for special occasion dresses that will draw attention away from the waistline and help to elongate your figure. 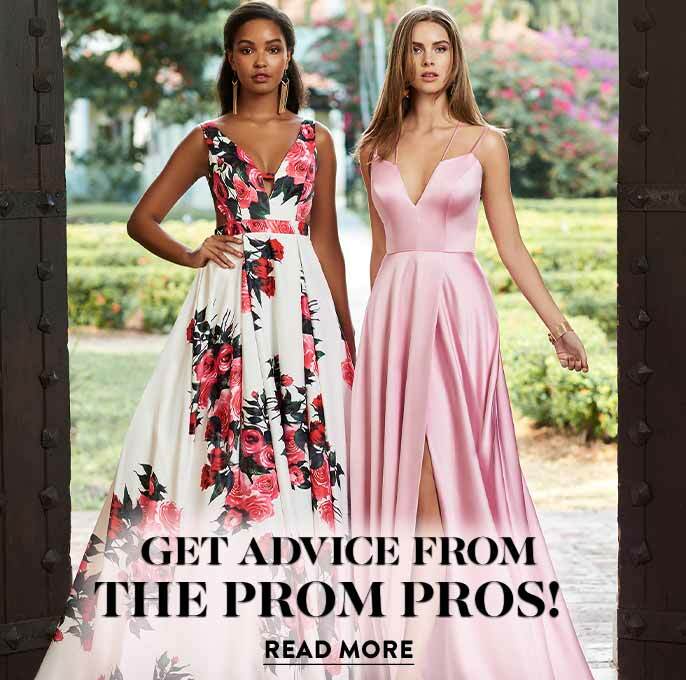 A prom dress or party dress featuring a deep plunging v-neck or scoop neck will emphasize your bust and work to create an illusion of added length, while drawing attention upward. An a-line dress, print dress with a continuous pattern, or a formal dress with a corset style bodice or narrowing bodice also helps to create a shapely profile. 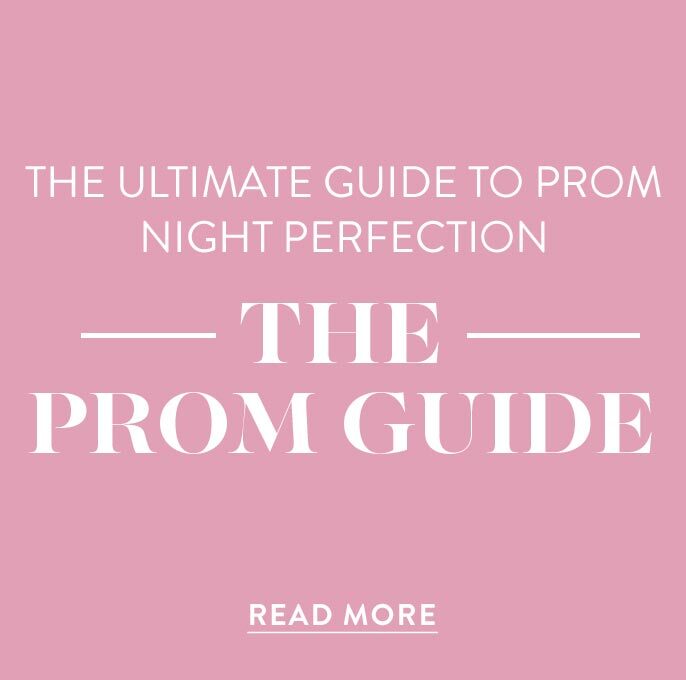 Try a long prom dress or evening dress in a jersey or stretch satin for a material that will gently hug and cascade along your curves without bulging or bumping. An ideal prom dress for apple shapes would feature a trumpet, mermaid, or handkerchief style skirt. These chic and unique designs will help to create the illusion of added height. Possibly the best option for an apple-shaped figure is a dress with a high waist or an empire-waist dress. By design, these styles highlight the bustline and are great for disguising a larger waist or bottom. Whatever your personal style, shop these designer dresses for apple-shaped body types and create your ideal look for prom, homecoming, or your next special event. What to Avoid: While you’re browsing this large selection of apple-figure dresses, keep in mind the objective is to find a dress that will accentuate your best features and minimize your least favorite. When choosing a prom dress for apple shapes or a homecoming dress for an apple-shaped body, remember to avoid adding any volume to your torso. 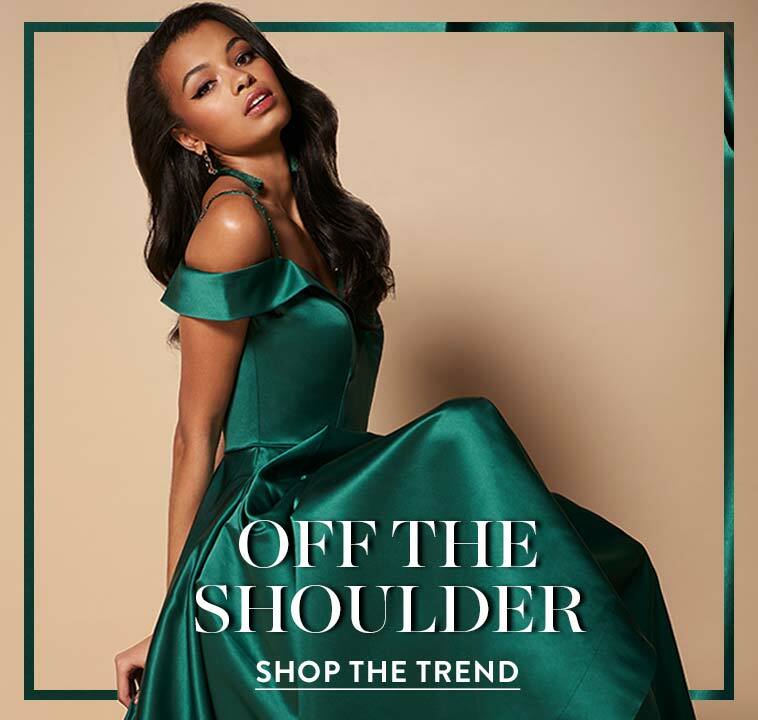 It’s best to stay away from off-the-shoulder dresses, halter dresses, and bateau necklines, as these styles often tend to make your shoulders appear broader. In general, when dressing an apple shape figure it is best to follow your bodyline and select fabrics that are soft and light to avoid any unnecessary bulkiness. 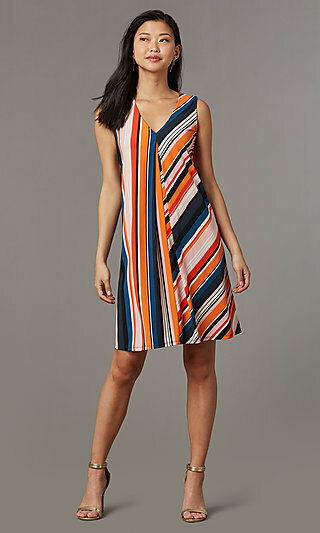 For the most figure-flattering looks, avoid ruching details on the waist or bust, as these add volume. 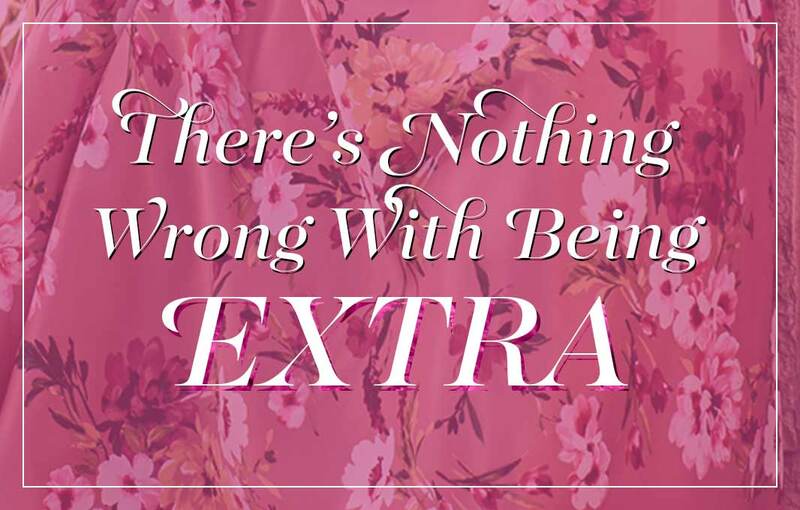 It is best to avoid dresses with natural waistlines, as they draw attention to your mid-section. Instead, opt for a formal or semi-formal dress with a trendy and flattering neck or hemline that will balance out proportions and help you create a gorgeous feminine silhouette.